July. Suddenly, it was as if a faucet had been turned off. The skies dried up. come close to calling the drought over. It didn’t rain this past week, either. currently working on yet another. subscriber, and whatever else may be influencing them at the moment. conditions, as have many other Texas wildfires. I hope you get to read and perhaps enjoy some you may have missed or choose to reread one you read and enjoyed before. 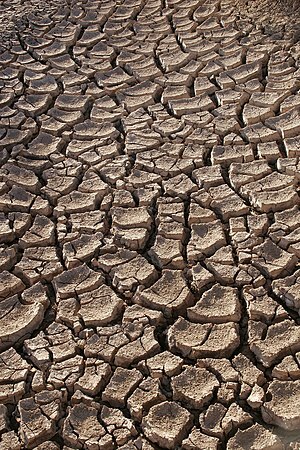 By drought; my yard cries out in thirst…. To farmers who live on the dry dusty plain…. Photo is by Tomas Castelazo by way of Wikipedia. The picture is NOT of Texas, though conditions exactly like that can be found in Texas. I just don’t have one of those pictures.